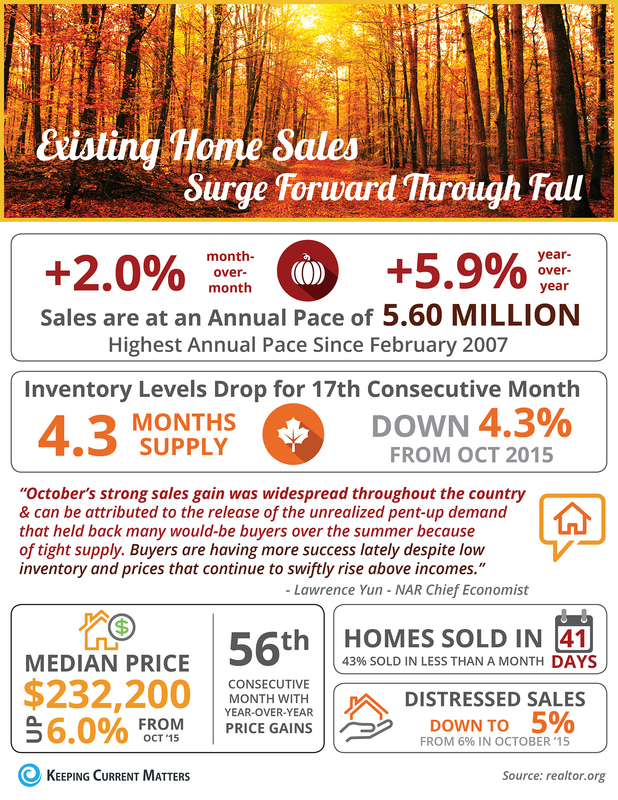 First-time homebuyers made up 33% of all sales in October. Homes are selling quickly with 43% of homes on the market for less than a month. A limited supply continues to drive up prices for the 56th consecutive month.